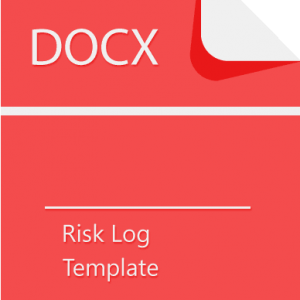 Why should you create a Project Initiation Document Template? 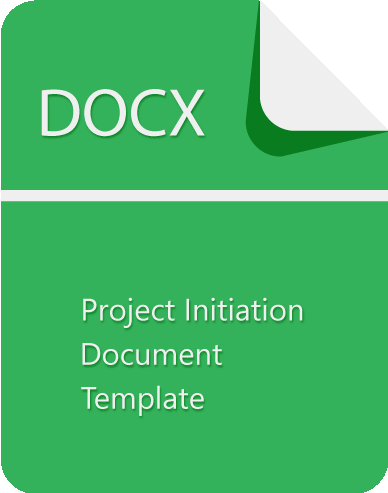 The Project Initiation Document Template aggregates the information which was acquired through the Initiating Stage of a project. 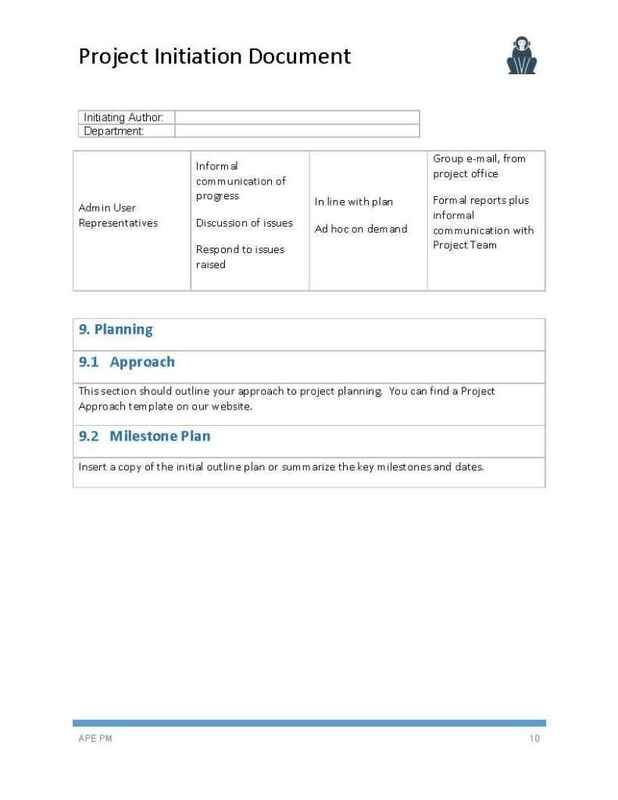 Keeping that in mind, the Project Initiation Document, or PID, is a term representing the planning approach in project management. 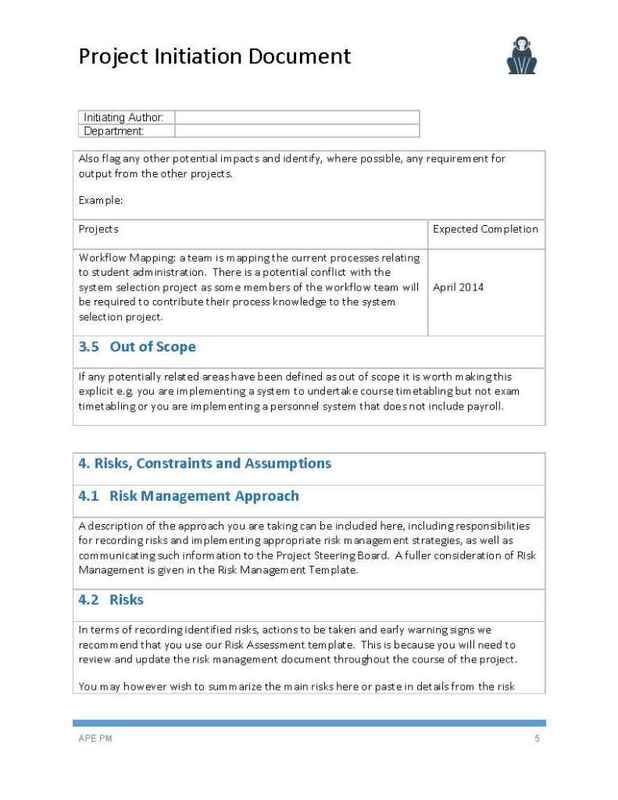 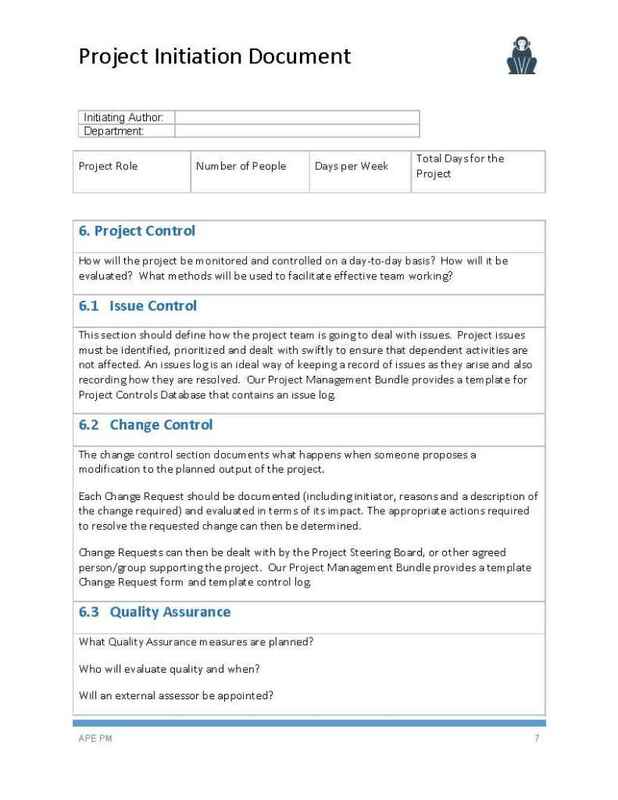 Any specific project controls or inspections as part of a departmental quality plan. 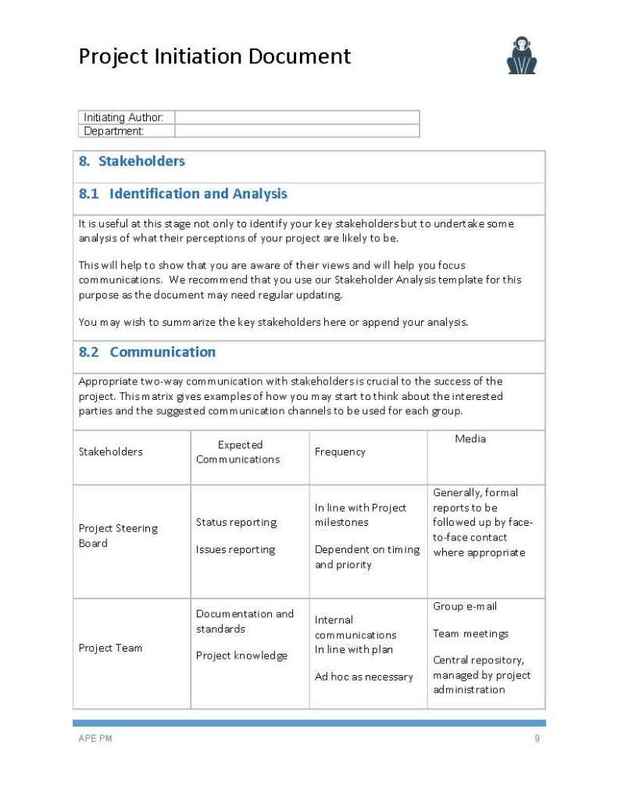 The PID represents a detailed version of the basic project start-up document called the Project Brief/Charter. 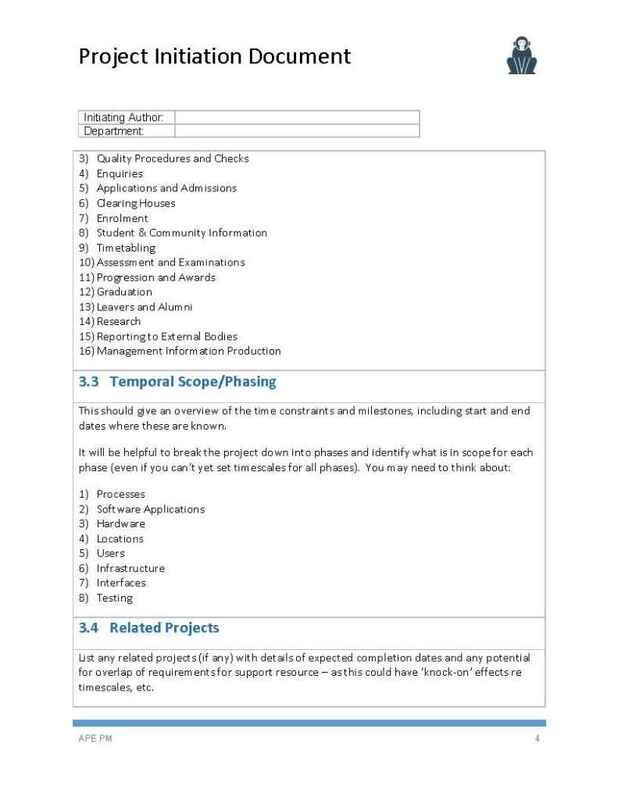 The PID bundles together documentation to form the logical document that brings together all of the key information needed to start and run the project on a sound basis. 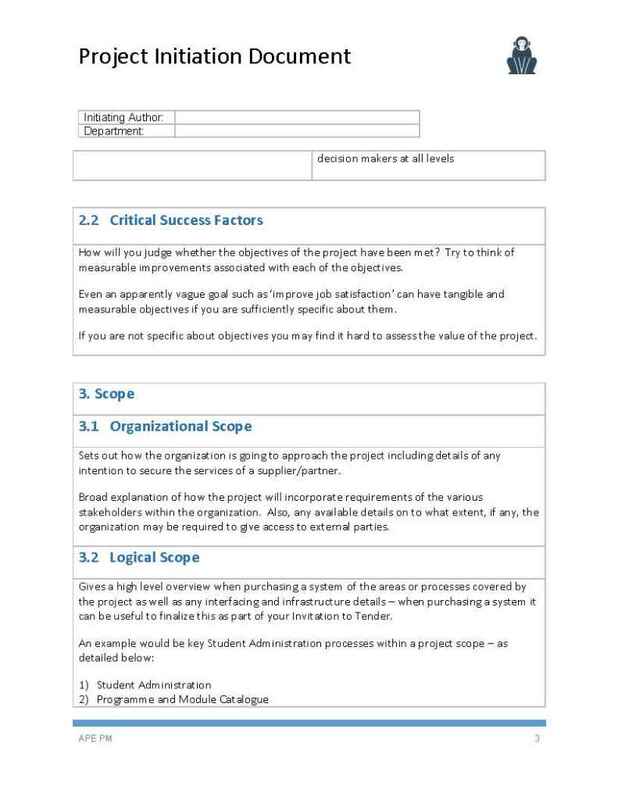 It should be conveyed to all stakeholders and agreed and signed off by the business sponsors. 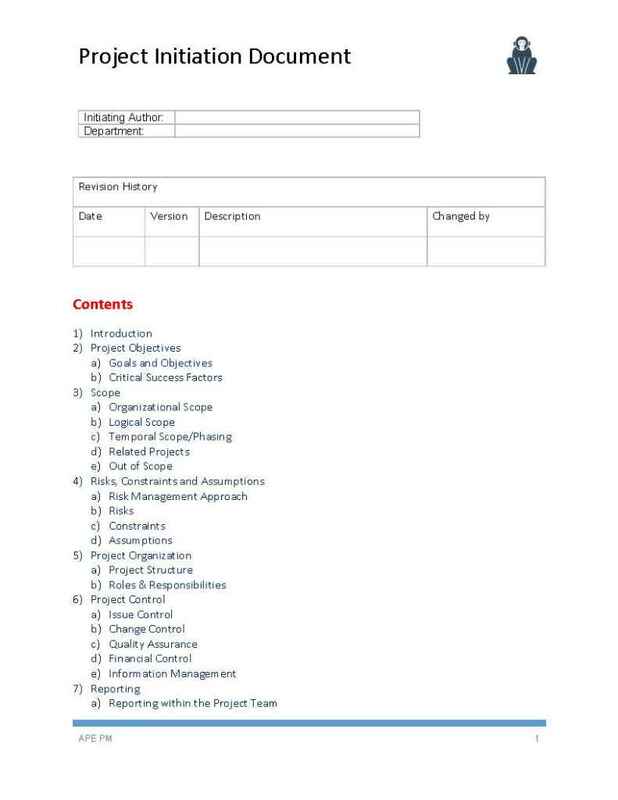 In short, this is the, “who, why, and what”, part of the project. 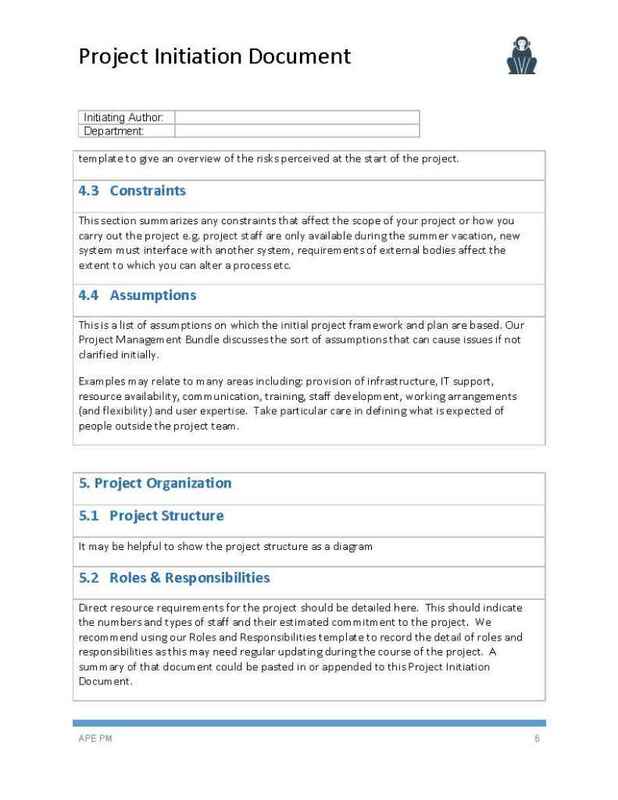 It defines all major aspects of a project and forms the basis for its management and the assessment of overall success. 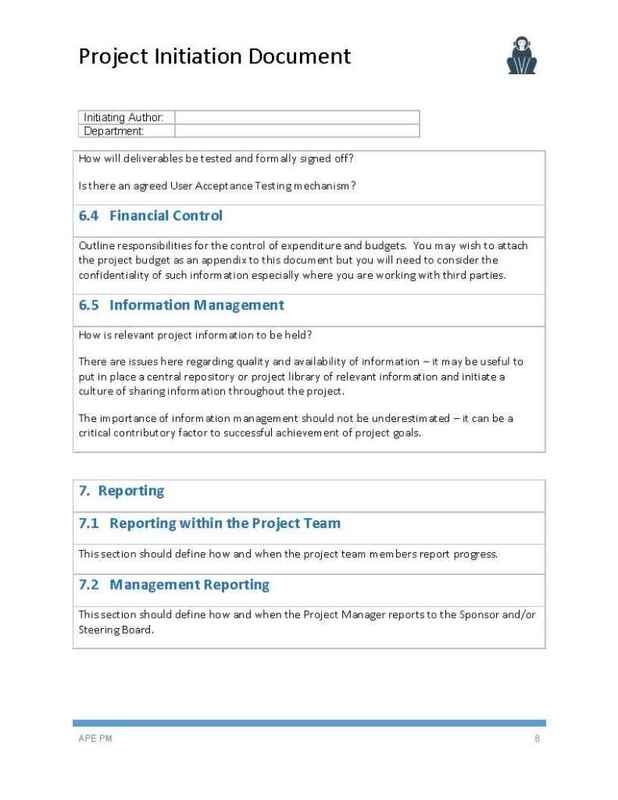 The project initiation document builds upon the business case (if it exists) using the information and analysis data produced during initiation activities. A common part of formal project methodologies such as PRINCE2 the document is a major milestone in the Initiating a Project process. 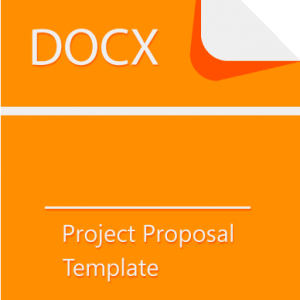 It is the document that goes before the Project Board for sign- off to commence a project. The Project Initiation Document Template will provide a reference point throughout the project for both the customer and the Project Team. Please leave us a review on this template, so we can improve our products (PID).